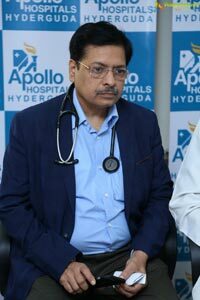 Hyderabad, 3rd January, 2018: Cardiologists and Cardiac Surgeons at Apollo Hospitals, Hyderguda, performed a new procedure to revive a 70 year old Heart failure patient and facilitated he leading a normal and active life. 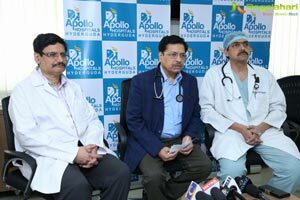 The team of Dr. V. Surya Prakasa Rao, HOD, Cardiology; Dr. K. Venkat Reddy, Chief Cardiac Surgeon, and Dr. P. L. N. Kapardhi, at Apollo Hospitals, Hyderguda, performed a procedure using the most advanced Left ventricular assist device - "Left ventricular assist device" (LVAD HEART MATE 3). 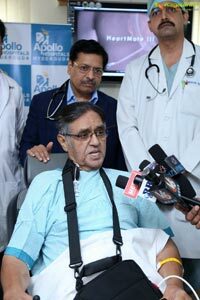 The 70 year old patient Mr. Hasan, is a high risk case, having undergone bypass surgery (CABG) for triple vessel block way back in 1995 in Germany. 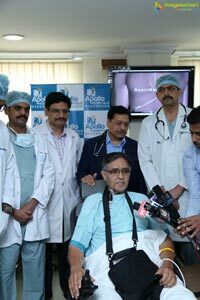 He had also been implanted with stents for the blocked surgical grafts number of times in Germany. 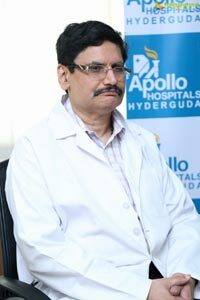 As recently as 2015, he had stent implanted in left main coronary artery at Apollo Hospitals, Hyderguda, for an episode of fresh heart attack. 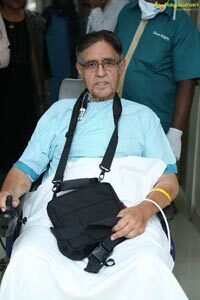 He is also suffering from diabetes and chronic kidney disease. Being a redo case the risk of operative mortality and morbidity was pretty high. The team had a challenge on hand as he had several heart attacks, went into a heart failure. 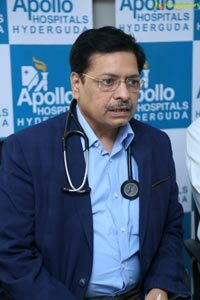 Maximum medical management was attempted, with him not responding to any of the options and all efforts proved to be ineffective. 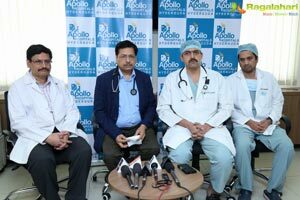 He was give a device called CRT - D (Pacemaker like) to improve his heart failure, which showed partial improvement. The patient however was desiring a treatment which could give a better quality life and enable him to pursue his business and personal works. The team explored the option of cardiac transplantation, but the patient's condition, associated medical co-morbidities and advanced age made him unfit for that too. As the team had exhausted all options, they decided to opt for a relatively new procedure, the "Left ventricular assist device" (LVAD HEART MATE 3). This is the most advanced Left ventricular assist device available and functions on magnetic field, effecting higher revolutions or rotations. Blood clotting is almost negligible, thereby reducing the chances of stroke. Since the device was lesser size, a relatively minimally invasive procedure was performed to implant it. This device did not need creation of pocket in the peritoneal cavity, unlike previous ones. The best part is that the unit has memory to adapt to the patient's parameters quickly. After a major and complicated surgery considering the patient's condition and advanced age, lasting over 12 hours, he was implanted with this life saving machine. 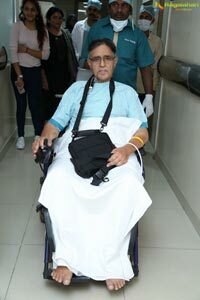 He has since recovered, but will have to be on blood thinning medicines lifelong and needs regular medical checkups. He can now lead a normal life, attend to his daily chores, take care of his Business and even travel, with some restrictions. 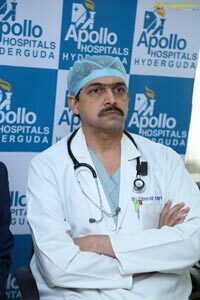 There were two cases of LVAD done in the Telugu states prior to this. But the device used here is the more sophisticated and was being implanted in a very sick patient of advanced age, whose chances of survival was bleak otherwise. 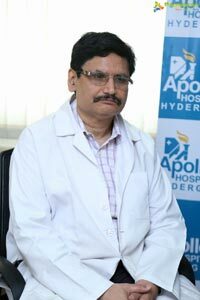 The procedure was done by Dr. K. Venkata Reddy, Dr. Pradeep, Dr. Shyam and Dr. Rafieq, under the supervision of Dr. V. Surya Prakasa Rao, HOD, Cardiology.